You got the chance to walk in various parties and diverse casual events in very stunning and sturdy attire. For which you just need to buy a Classy grain coated men’s leather jacket which entered the leather fashion recently. 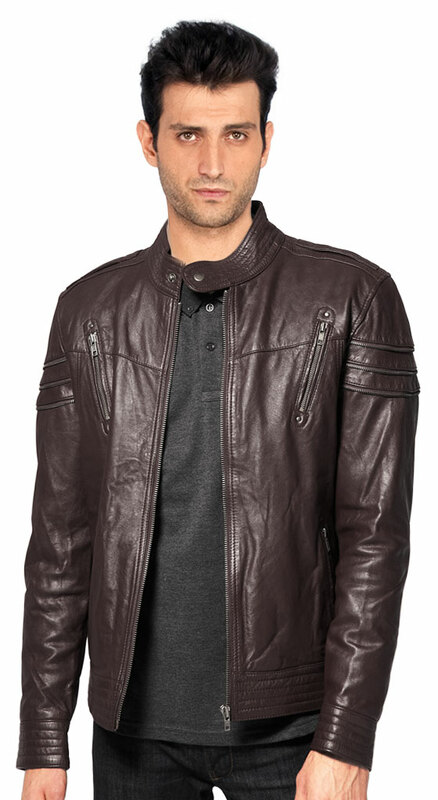 This leather jacket is designed in a very stylish manner by adding some unique features to it like reinforced stitch hem detailing to the main and cuff, long sleeve styling with a embellished zip detail to the cuff, a stitched yoke with a panel insert and a central seam to reverse, in a relaxed fit which not only makes the outfit look fashionable but also its owner.